Lot #1: Freaks Past and Present. 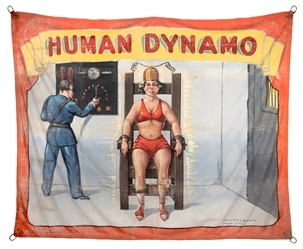 Lot #2: Human Dynamo Sideshow Banner. 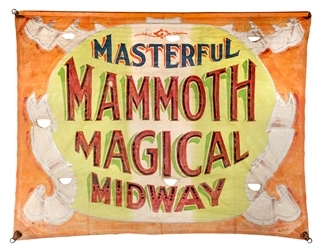 Lot #3: Masterful Mammoth Magical Midway Banner. 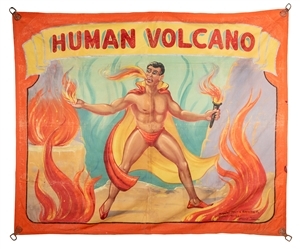 Lot #4: Human Volcano Sideshow Banner. 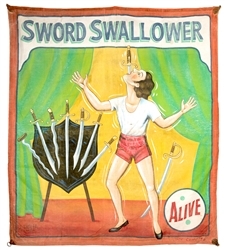 Lot #5: Sword Swallower. Sideshow Banner. 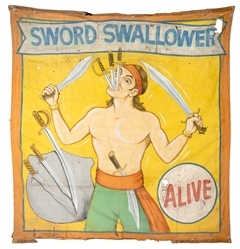 Lot #6: Sword Swallower Sideshow Banner. Lot #7: Frank Lentini. 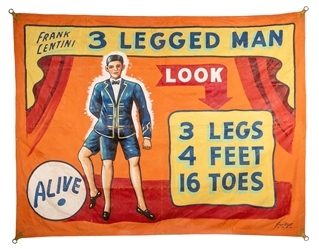 3 Legged Man Sideshow Banner. 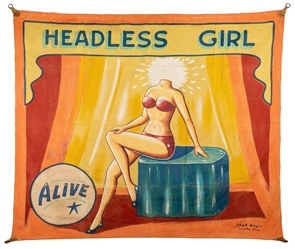 Lot #8: Headless Girl. 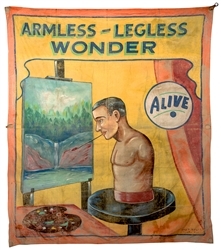 Sideshow Banner. 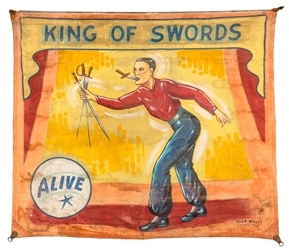 Lot #9: King of Swords. 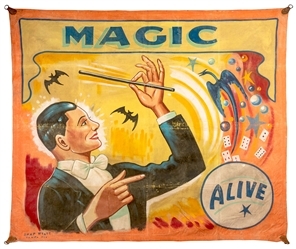 Sideshow Banner. 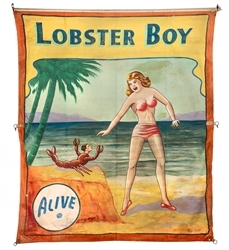 Lot #11: Lobster Boy. Alive. 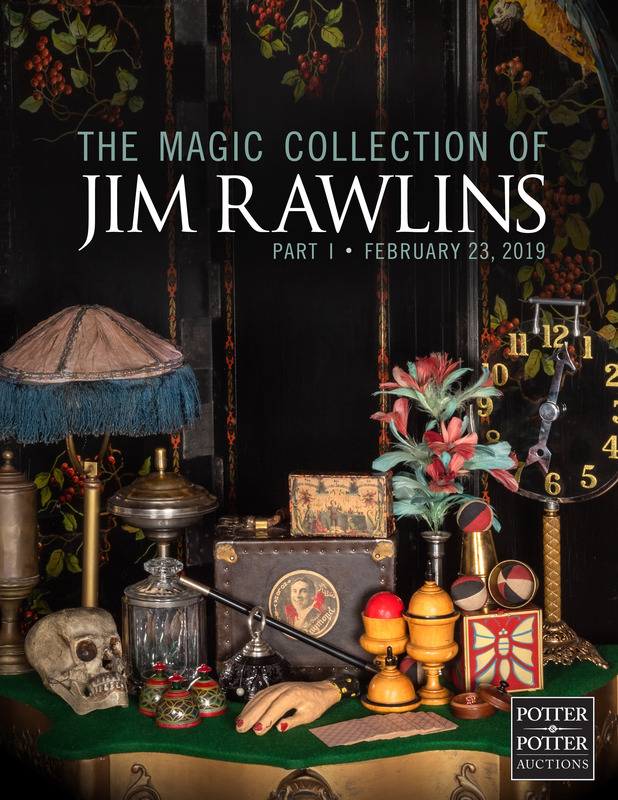 Lot #12: Magic. Alive. Sideshow Banner. 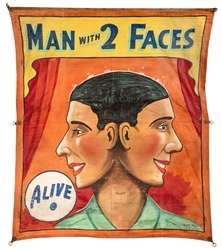 Lot #13: The Man with Two Faces. 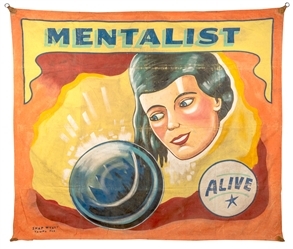 Lot #14: Mentalist. Sideshow Banner. 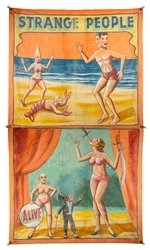 Lot #16: Strange People Double Sideshow Banner. 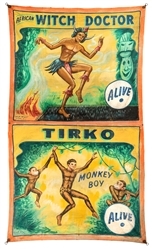 Lot #17: African Witch Doctor / Monkey Boy. Double Sideshow Banner. 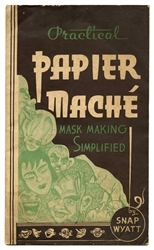 Lot #18: Practical Papier Mache Mask Making Simplified. 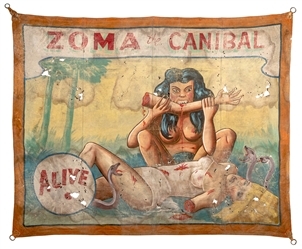 Lot #19: Zoma the Cannibal. Sideshow Banner. 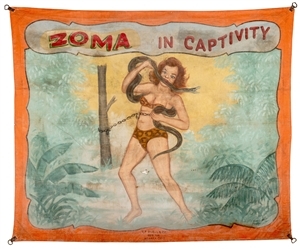 Lot #20: Zoma in Captivity. Sideshow Banner. 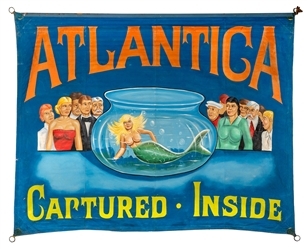 Lot #21: Atlantica. Captured. Inside. Sideshow Banner. Lot #22: $1,000 Reward. Sideshow Banner. Lot #23: $10,000 If Not Real. 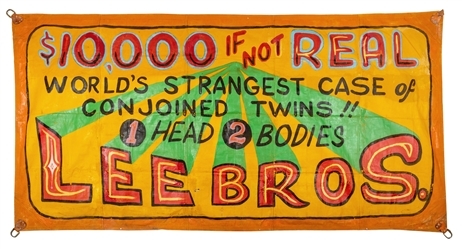 Conjoined Twins Sideshow Banner. Lot #24: Big Show Entrance Sideshow Banner. Lot #25: Alive. Sideshow Banner.